Is your mom an ice cream lover? 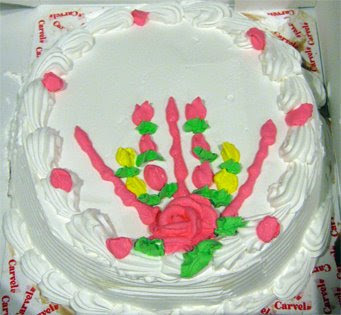 Then why not get her the mother's day ice cream cake from Carvel! Oh man does that just sound silly. You know times are tough when they are trying to convince you to buy your mom a carvel cake to boost sales. Oh well, it was decent, but it was very skimpy in the crunchy layer department (compared to their regular cakes).